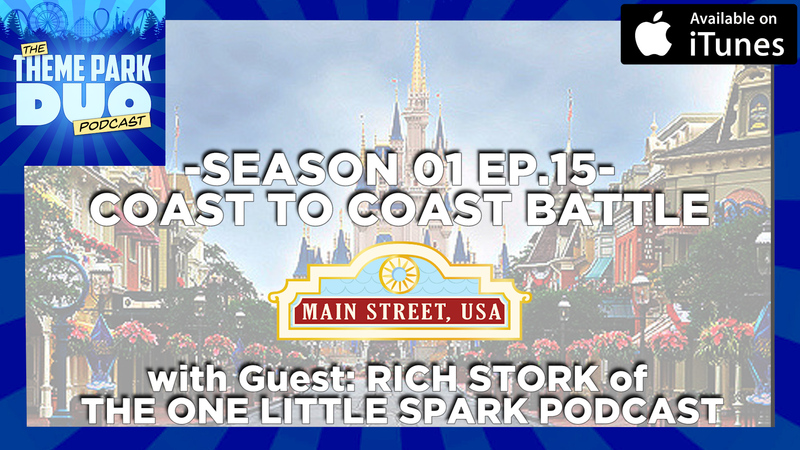 On this Disney centric episode, we are joined by Rich Stork of The One Little Spark Podcast to chat Main Street USA in our BRAND NEW segment Coast to Coast Battle! We compare and contrast the Main Street USA at Disneyland California to the Main Street USA at the Magic Kingdom in Florida! Find out what we think rocks and what we think sinks to the bottle of this non stop opinion fuel conversation! Along with that, we have the Theme Park Bulletin! We chat about Shanghai Disneyland and their conversion to a completely digital Fast Pass system, T2:3D Battle Across Time closing over at Universal Studios Florida and the current event of Hurricane Irma which is passing through Florida! Don’t miss a beat of this weeks crazy episode!